Tricks to make your hair grow faster really do exist, and they don’t involve buying magical miracle products. However, although there are some great ways to make your hair grow faster, it does take time. Keep in mind, making your hair grow faster can be a complicated process, but following these tricks to make your hair grow faster will put you on the right track. It may seem a little backwards to keep cutting when you want to make your hair get longer, but frequent cuts are actually one of the best tricks to make your hair grow faster. Trims help keep the hair healthy and eliminate split ends caused from heat damage. Split ends can stunt the growth of your hair, so keeping the ends trimmed is good. Many of the best tricks to make your hair grow faster can be done right at home — like this method. Whisk together the whites of 3 eggs. Massage the egg whites into the hair and let it sit for 5 to 10 minutes. The nutritional vitamins of the egg whites will seep into the hair, making it stronger and healthier. 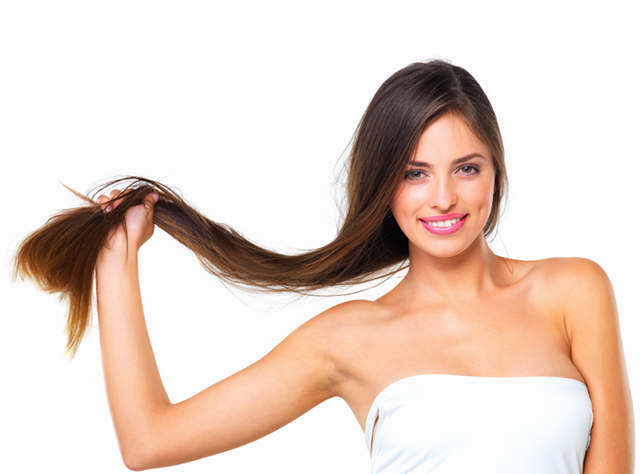 Having strong healthy vitamin rich hair is the trick to making your hair grow faster. Water makes everything grow! It is a quick and natural method that will make your short hair grow and become fuller a lot faster. In the event you drink about 8 cups of water a day, not only will your body feel better, but your hair will get stronger too. Sometimes the best tricks to make your hair grow faster are to avoid certain things. If you can’t avoid blow drying your hair at least try to let it dry as much as possible on its own. Too much heat exposure can damage and slow the growth of your hair. Blow drying your hair less will make your hair grow faster. Eating the right foods is actually one of the best tricks to make your hair grow faster. Your hair needs vitamin B to grow strong and healthy. Without it your hair will feel dry and brittle, and it will break easily. Make sure your multivitamin has a good amount of vitamin B. You can also get it from eating bananas and peppers. There are lots of simple tricks to make your hair grow faster, and many of them don’t require that much effort. Some of the most effective ways to make your hair grow faster are completely natural. That’s always good. Let me know if you have any tricks besides these one to make your hair grow faster that have worked for you.